What we write is recorded into history, providing us a connection to the past to inspire readers forever. Every word I compose is taken into special consideration to give that piece the style and life that it deserves. As there are many different forms of writing, my style is based in a journalistic approach by presenting the facts backed up by careful analysis. Depending upon the subject I am writing about, elements of the style change to give the story a unique personality that will continuously entice any reader. Update: Relaunch in progress! New content and layout coming Spring 2018. 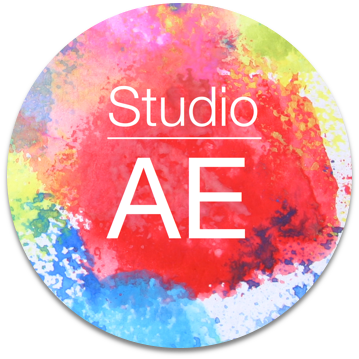 Launched in 2012, The Studio AE is a news magazine styled blog featuring stories that cover an array of topics and events in the world of art and entertainment. With reviews, investigations, featured artist spotlights, deep discussions, opinion based articles and more, the blog helps push out our conventional thinking of what is art and entertainment to allow us to think about how it is a critical part of our lives. To read articles from the blog, visit www.thestudioae.com - Want contribute a story? Contact me. At The Wooster Voice (The College of Wooster), George wrote stories, reviews, and commentary/opinion pieces (created for “The Scene” series) for the Arts & Entertainment section as well as other sections for the publication. The following stories are samples of his written work covering visual and performing arts events on and off campus. All stories republished with permission from The Wooster Voice. Additional samples of written work available upon request. The most popular kind of films that Americans love to experience in theaters usually include comedic romp-fests such as The Hangover or action-adventure films that continue to further push the boundaries of visual effects and camera tricks, like Avatar.